Another fabulous shirt design from Janet Pray of Islander Sewing Systems, this style, the Men's Classic Sport Shirt, features chest pockets hidden cleverly within the yoke seams. 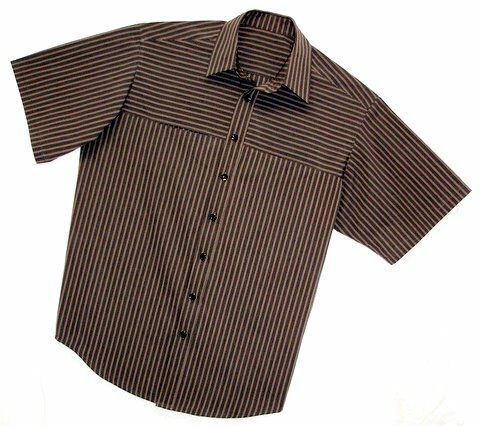 I fashioned this shirt from fine Italian cotton shirting for a client who admired the pattern's illustration. Like all of Islander's patterns, The Classic Sport Shirt, goes together quickly and easily because of its superior draft. 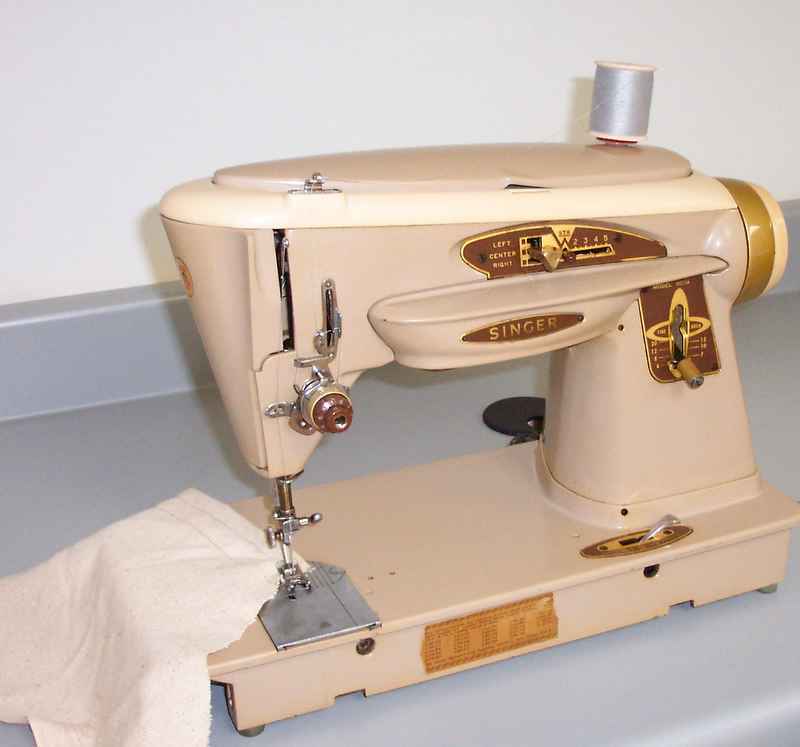 Seam allowances are adjusted so that the sewist can progress from step to step without stopping to trim and grade. The famous Islander "burrito" technique is included in the pattern instructions....a technique every sewist should learn in order to consistently produce a professional collar unit without the use of pins or basting. 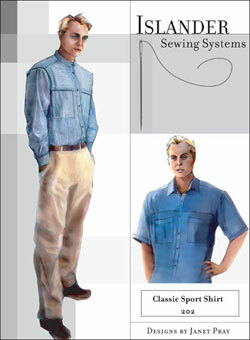 Having been a longtime devotee of Islander Sewing Systems , I was anxious to try the new shirt designed by Janet Pray. My version is shown here in heavily distressed silk dupioni. 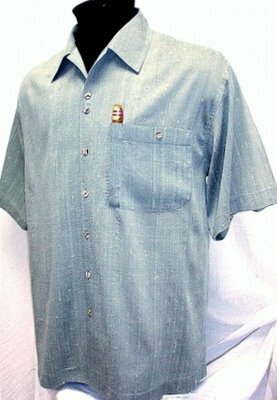 I made it to the exact pattern specs, with the exception of adding my "Cigar Pocket" at the request of a client. Since I usually draft my own patterns for my shirt designs, I am very picky about printed patterns. The Islander Shirt far exceeded my expectations. that makes this style a cut above other "camp shirt" silhouettes. The instructions are precise and include the famous Islander "Burrito" technique, and well as a technique to set sleeves that every sewist should learn. The shirt is oversized without being sloppy, and the cut lends itself to many fabrics...though soft drapey fabrics will enhance the clever way this pattern is designed. It's definitely a winning style that I will make again and again!